The head of a coalition of state law , Nuri al - Maliki said on Saturday that there is a "serious understanding" with a lot of political forces to form the largest bloc, as called for winning candidates from the coalition in the elections to communicate with the masses and make proposals laws that support the need for services. 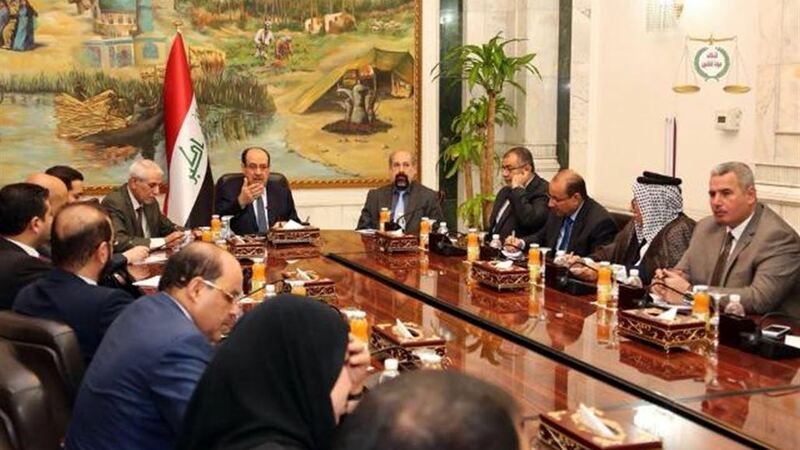 "The head of the coalition of state law, Nuri al-Maliki, chaired today, a meeting of members of the coalition and the candidates winning in the legislative elections," he said, adding that "during the meeting was discussed the latest political and security situation, And the results of the elections, especially after the completion of the process of counting and sorting by hand. " He said al - Maliki, according to the statement, " the importance of concerted efforts to reach a national program of work is able to shoulder the burdens stage, and to respond to the challenges that face the country , " he said, adding "there is a serious understanding with many of the national forces in order to crystallize the positions in preparation for the transition to the steps The other constitutional related to the formation of the largest bloc within the national space, which includes all national forces, and the first meeting to nominate the three presidencies. " Maliki called on the participants to "work hard and adhere to the national constants and communicate with the masses and provide bills that support the needs of Iraqis for services," stressing that " Iraq and its people deserve to work and sacrifice for progress and prosperity." The Electoral Commission announced on Saturday (May 12, 2018) the "success" of the voting process that took place in Iraq with a participation rate of 44.52, in the first elections in the country after the victory on the organization "Daash" and the fourth election since the fall of the former regime.